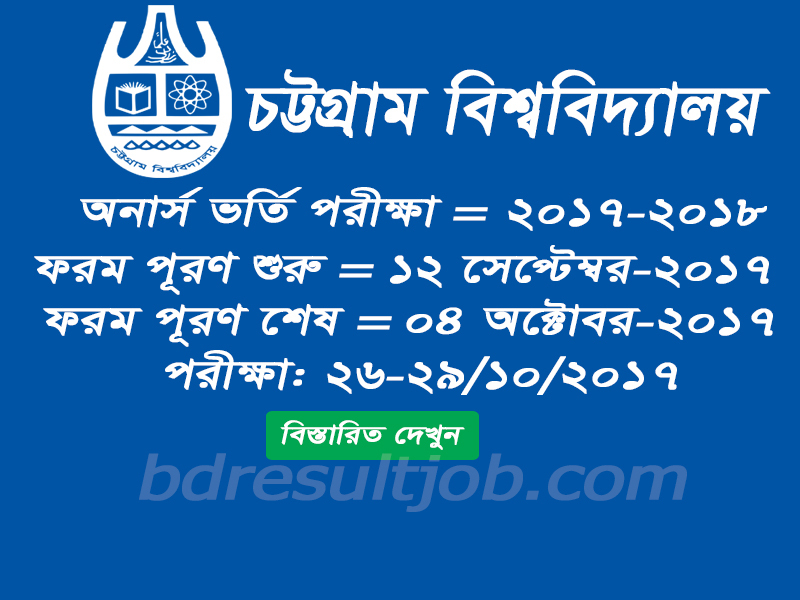 Chittagong University Admission Test Circular 2017-18 has been published. University of Chittagong Admission Test Circular 2017-18 has been published. University of Chittagong Admission Test Circular 2017-18 will be the beginning date 12 September, 2017 to 04 October, 2017. University of Chittagong Admission Test Circular 2017-18 and Admission related all information will be found in University of Chittagong Admission Official website at http://www.cu.ac.bd/ctguni/ and http://admission.eis.cu.ac.bd/. 1. http://admission.eis.cu.ac.bd/ click login page input HSC/Equivalent Roll no, Passing year, Board name and SSC/Equivalent Roll click Submit Button and confirm button. 2. Upload applicant photo, mobile number (any operator) and quota (if any) and submit. 3. To confirm appliaction Send Message (This message show in online appliaciton form) 16321 any operator mobile. 4. Return message send applicant confirmation code and its input specific area and click confirm. 5. Now show application main page and show applicant eligibily. Select your choich unit. 6. Download your payment slip (Click green color button) and print it. 7. Now go to any Sonali Bank Limited, Agrani Bank Limited, Rupali Bank Limited, Janata Bank Limited and complete the payment manually. 8. This webpage applicant cant download Admit card, seat plan and get admission result. Marks will be 0.25 Deduct for Each Wrong Answer in Written Examination. University of Chittagong authority will published admission test seat plane examination before 2 (Two) days. If you are a candidate you can check your seat plan by login with your HSC Roll, Board, Passing Year and SSC Roll from student Dashboard or http://www.cu.ac.bd/ctguni/. Tags: admission.eis.cu.ac.bd, www.cu.ac.bd, CU Admission Test Circular 2017-18, cu admit card. chittagong university admit card. www cu ac bd. cu admit card download. cu ac bd. cu admit card 2017. chittagong university admit card 2017-18. cu ac bd admit card. Chittagong university. 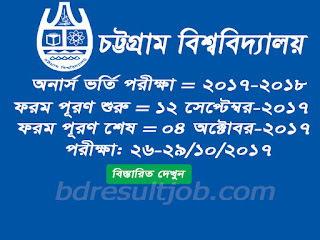 chittagong university admit card download. cu admit card download 2017. www cu ac bd admission 2016-17. Bangladesh Education and Job Portal: Chittagong University Admission Test Circular 2017-18 has been published.